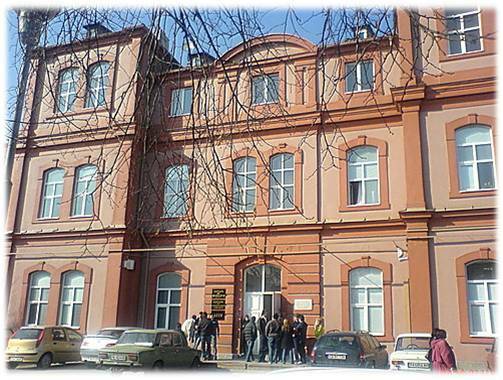 The GeoTEAM at Plovdiv University is working as part of the Faculty of Physics. 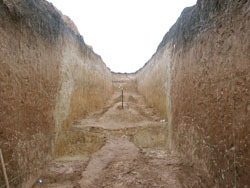 Its research activity is focused mainly on stochastic modeling of seismicity, non-linear features of complex systems, site effects characteristics (mainly the application of the H/V spectral ratio technique) etc. Plovdiv University, named in honor of the Bulgarian historian Paisiy Hilendarski, is the city�s leading cultural and scientific institution. It is the largest institution of higher education in Southern Bulgaria, and the second largest Bulgarian university, after St. Kliment Ohridski University of Sofia. The year 2001 marks the university�s fortieth anniversary. Plovdiv is the second largest city in Bulgaria and the largest administrative, economic, cultural and scientific center in Southern Bulgaria. It was founded in the 2nd millennium BC as a Thracian settlement, and has centuries-old cultural and archaeological heritage. The city which is much older than Athens or Rome, treasures its architectural artifacts located in its Old Town. The unique Renaissance atmosphere of Old Plovdiv charms visitors to the city, and the seven hills on which this part of the city is situated, have their own special charisma. Gospodinov, D. and Rotondi, R., (2001), Exploratory analysis of marked Poisson Processes applied to Balkan earthquake sequences, Journ. Balkan Geoph. Soc., 4, 3, 61-68. Gospodinov D. and Rotondi R., (2006), "RETAS: a restricted ETAS model inspired, by Bath's law", The 4th Internat.Workshop on Statistical Seismology, The Graduate University for Advanced Studies, Shonan Village, Japan, 9-13 January 2006, ISM (Institute of Statistical Mathematics) Report on Research and Eucation No. 23, 92-95. Tranos M., Karakostas V., Papadimitriou E., Kachev V., Ranguelov B., Gospodinov D., (2006), Major active faults of SW Bulgaria: implications of their geometry, kinematics and the regional active stress regime., in Tectonic development of the Eastern Mediterranean region. (Robertson A. and Mountrakis D. - eds. ), Geological Society of London, Special publications 260, pp. 671-687. Karaksotas V., Papadimitriou E., Gospodinov D., Ranguelov B., (2006), Slip distribution for the 1928 Chirpan and Plovdiv main shocks and earthquake triggering., Proc. Intl.Conf. SGEM 2006 - papers., Albena, 12-16 June., vol. 2, p.119-126. B. Ranguelov, S. Dimitrova, D. Gospodinov, G. Lamykina, (2007). Geodynamics of the South Balkans - Seismotectonic Model, Fractality and Nonlinear Properties., in Monograph GEODYNAMICS OF THE BALKAN PENINSULA (Ed.G.Milev), Reports of Geodesy, No. 5 (80), pp. 609 � 626.